Here is a robotic arm on wheels that gets you familiar with the basics of coding and robotics. 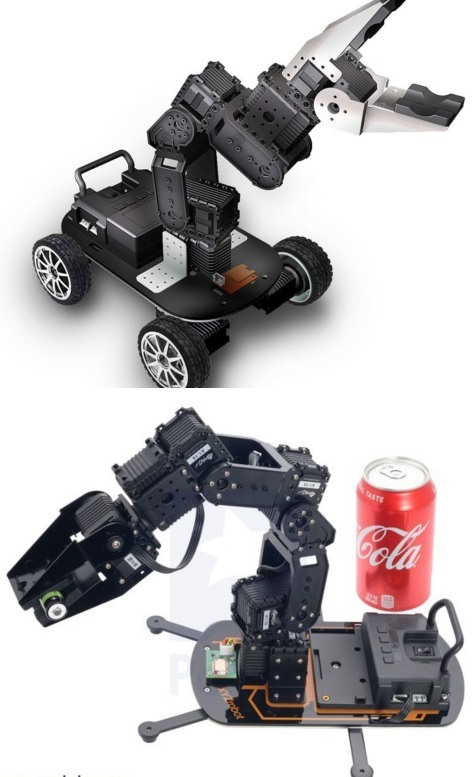 The 6 DOF XYZRobot Robotic Arm can be assembled with no soldering. You can write your own code (Arduino) to communicate with the device. A convenient motion/motor editor is available to help you get started faster. The robot can rotate items with its gripper. It consists of 6x smart servos, 4 wheels, a Bluetooth modular, and a microcontroller unit.